We are an enthusiastic, hard working and resilient class who are really proud of being role models for the rest of the school. We all have a prefect job during the year which helps the school run smoothly and we like nothing more than helping the younger children. We are keen to take on the challenge of year six and develop our skills so we are ready for high school. 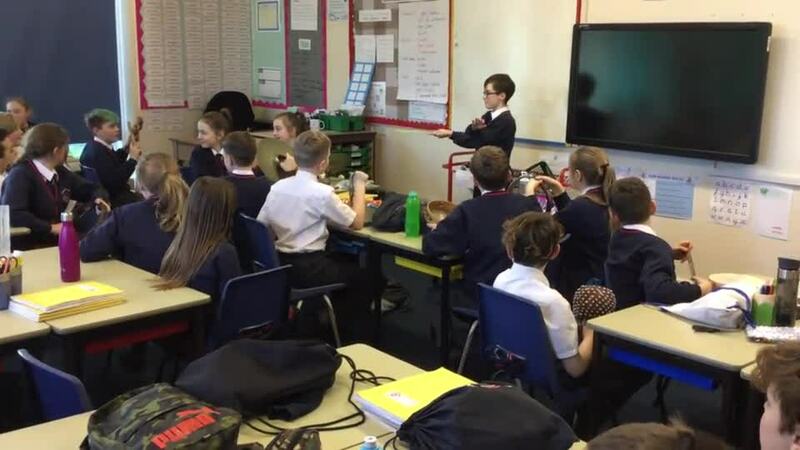 This year our teacher is Mrs M Smith, other adults who work with our year six team are Mrs Ng, Mrs Nelson, Mrs Darby, Mrs Edwards, Miss Iddon, Mrs Cookson and Miss Webster. Our themes for this year include: A Kingdom United; Food, Glorious Food; Earthlings; Inventors and Inventions; Amazon Adventure; Faster, Higher, Stronger. We have PE on Monday and Thursday afternoons. We have an exciting October ahead when many of us will be attending our yearly residential trip to France. Whilst there, we will: visit World War II sites; sample some French cuisine; visit a biscuit factory and hypermarche; and converse with the locals. We are looking forward to a truly successful year and know that with support from our parents with reading, spellings, times table practice and MyMaths, we will all be able to achieve our full potential. To find our Key Learning Documents please click here to find our Theme overview please click here. This half term our theme is the Golden Age of Islam. We have learnt all about Baghdad in the 900s AD and experienced many theme days. We had a swash-buckling World Book Day my hearties. We delved deep into the plot of Treasure Island, learnt about the story of a real-life 10-year-old pirate and even searched for treasure. Are we all the same? We asked ourselves. Using a range of measuring equipment we have investigated the ratios of the human body. Did you know that your arm span is almost equal to your height? We also had fun solving puzzles to enable us to leave the Escape Room. We completed six puzzles to find the pin number to Mrs Smith’s iPad so we could ‘escape’. Some of us joined in the ‘Animal Measure Madness’ in the hall to find discover which bears we were the same height of, which birds of prey’s wingspans were similar to our arm spans and what it’s like to be a squirrel! St George is our patron saint and we set about investigating why and how he can show us what it is like to be British. We wrote persuasive letters and learnt all about democracy. Perhaps we should be left to sort out Brexit! We were lucky enough to have a visit from a magistrate and learn all about the rule of law and their role in the criminal justice system. This half term our theme has been Earthlings; we have been learning about space, film scores and even 'aliens'. We even got a chance to visit Spaceport. Our theme has been film scores and the work of John Williams who composed the music for many famous movies and scenes including Harry Potter, Indiana Jones and ET. We have composed our own music and even had a go at conducting. 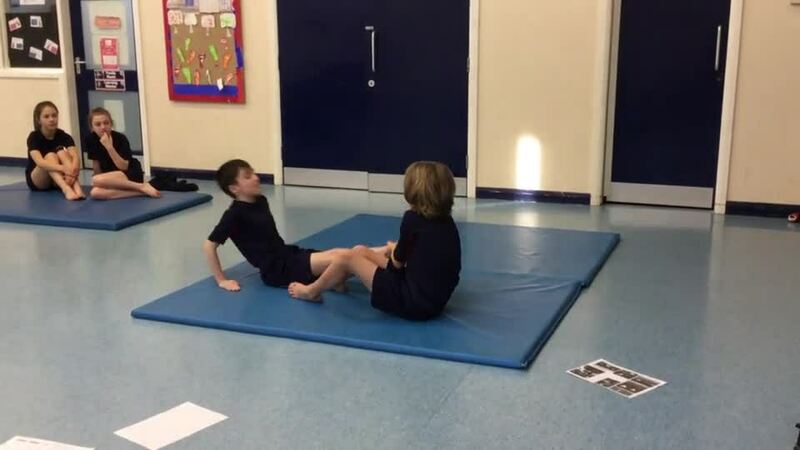 We have been practising our skills of rolling, jumping, travelling and balancing this half term We particularly focused on paired sequences and counter tension balances. This year's theme was all about asking permission whether it be to post someone's photograph or to accept cookies on a website. We learned a lot about giving and receiving permission and making informed decisions before 'clicking'. We had a fantastic trip to Spaceport where we extended our understanding of space, had a lot of fun, met some Ewoks and even traveled on a roller-coaster (simulator). Check out our busy day. In art, we have studied the works of Kandinsky, Miro, Rothko and Pollock. Their amazing work inspired us to produce our own movie posters of H.G.Wells 'War of the Worlds' which we have studied in English. We used a range of techniques to create our posters. They are out of this world! Our theme for our second half term is Food, Glorious, Food - we will be learning all about: where our food comes from; how far it has traveled; the climates and biomes it grows in; and seasonality of produce. We have been developing our cooking skills with the help of Mellors’ Development Chef. We learnt many new skills including: preparing vegetables safely, browning and flouring meat to develop flavour, safe preparation of chicken, sautéing vegetables and where our ingredients some from. With our UK ingredients, we made a traditional lamb hotpot and with our imported ingredients a tasty Sri Lankan chicken curry. 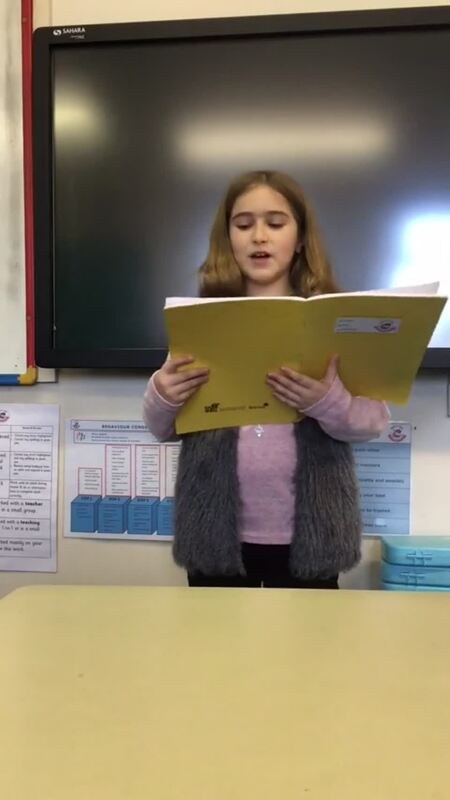 We had a wonderful time exploring the world of Narnia having studied the book and written our own play scripts. We were left inspired! We thoroughly enjoyed our OAA workshop which focused on communication skills. ordering ourselves in alphabetical and age order, sometimes without even speaking! And a final 'Dengineers' team challenge to build a den big enough for the whole team to shelter under with a limited amount of equipment. Even the rain came out to test our skills!! To commemorate Remembrance Day, we researched the great challenge faced by the Allied forces during D-Day and Operation Overlord. We learnt about how the operation was planned for; how the Allies prepared; and the many ways they tried to fool the opposition. We learnt of great feats of courage and sacrifice, were amazed by the capturing of Pegasus Bridge and linked what we had learnt during our trip to Normandy to our learning. To complete our week, we made a remembrance wreath and designed D-Day medals. Our theme for the first half term was 'A kingdom United', we studied the UK and its geography and learnt about the Anglo-Saxon kingdoms. We have been learning the skills of persuasive writing and have used the tools we have learnt to share our views on the Tarleton Master Plan. 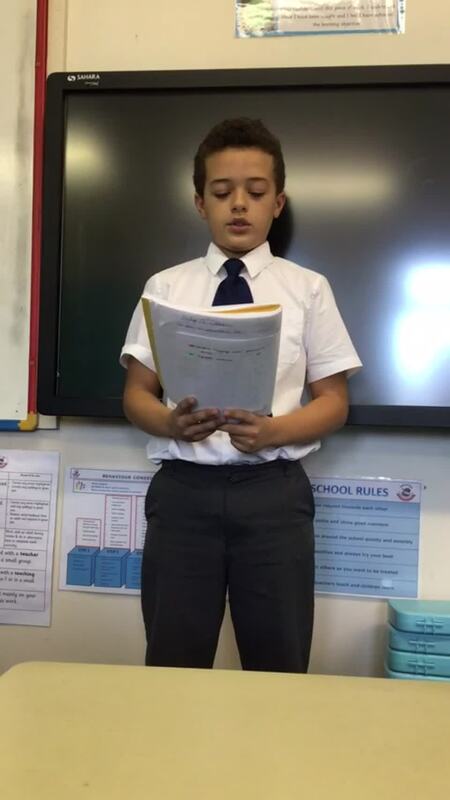 Take a look at our final persuasive speeches below. Which side do you support? We have learning all about how adulthood is celebrated in the Jewish Faith. We have studied the Bar and Bah Mtizvah ceremonies which represent when a child must take responsibility for their actions. We looked at Jewish artefacts and even learned how to wear a tallit. We have been rocking out to Bon Jovi's classic Living on a Prayer, who knew glockenspiels and rock went together! We have been studying musical notation and have composed our own accompaniment to the track to enhance our performance.